Pay what you want for these courses that will teach you to use Adobe's Creative Cloud tools. Creatives in all fields rely on the apps of the Adobe Creative Cloud Suite. These powerful tools are counted on by amateur and professional creators alike. Learn your way around them with the Adobe CC Lifetime Mastery Bundle – and you can pay what you want for it. If you're an aspiring creator, you're going to need to learn the Adobe Creative Cloud suite. It's the most powerful set of design tools around and can take your work to the next level. The Adobe CC Lifetime Mastery Bundle will help you to make the most of it. 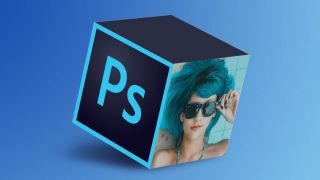 You'll get more than 40 hours of actionable courses that will make you a master of Adobe's powerful artistic tools – from Photoshop and Illustrator to Dreamweaver and InDesign, plus you'll learn how to make use of motion graphics in After Effects and more. The Adobe CC Lifetime Mastery Bundle is valued at over $384, but you can get it now for a price that you pick. Beat the average to unlock it all, get on the leaderboard, or just pay what you want. You can't go wrong, so grab this course bundle today.